The Click Depot is a full-service web design and digital marketing company offering creative design services and innovative web marketing solutions. 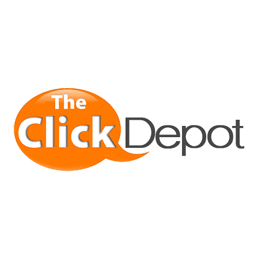 Comprehensive strategies developed by the best minds in the industry and tailored to each clients needs is what sets The Click Depot apart from all the rest. The Click Depot’s full service internet marketing approach is comprehensive and drives the success of their relationships with clients and their customers. 1000’s of websites designed that have generated millions of dollars in revenue for local Raleigh clients since 2007. The Click Depot’s web design team is put together with creative artists and programmers that can facilitate any solution you can think of.